I am writing to the chairman and director general of the Telecommunication Regulatory Commission of Sri Lanka on some aspects and problems of Amateur Radio. The following is the full text thereof. Proposal for Reforming Amateur Radio Service in Sri Lanka, and thereby Advancement in Activities related to Education, Science, Technology, and Other Amateur Fields. And eventually to gain some momentum and much needed productivity in various aspects in the country. 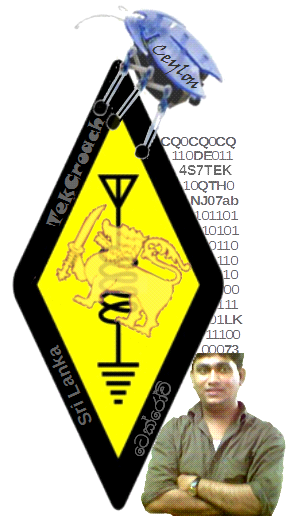 Amateur Radio service (ආධුනික ගුවන් විදුලි සේවාව), also simply known as HAM is a service that is recognized and practiced in every country in the world (except two or so countries like North Korea, that have banned it) ever since radio technology was invented. In both the global and Sri Lankan contexts, Amateur Radio is as old as the regular radio service. The ITU (International Telecommunication Union) in Geneva, Switzerland, the United Nation’s affiliated institution in charge of international regulation of telecommunication overseas and sets standards and good practices for Amateur service worldwide. Each country shall give due regard to the ITU’s regulations, but shall have the exclusive rights to manage and administrate Amateur Radio service within its territory. Thereby, the Telecommunication Regulatory Commission of Sri Lanka (TRCSL) is the sole regulatory body in Sri Lanka for Amateur Radio service. It is practiced throughout the world both as an educational/experimental tool, and as a hobby by the old and the young alike (more than 3 million people). Although in the formative years, only engineers/inventors were engaged, but now the laymen (not much knowledgeable in science or engineering) outnumber the engineers and suchlike. To engage in Amateur Radio, first you have to pass some exams and get a license from the national regulator body (in Sri Lanka, the TRC). After getting the license, you are legally allowed to keep radio signal transmitting equipment to transmit (and of course even to receive) on permitted frequency ranges. With the radio equipment you can communicate with any amateur radio operator in the world (subject to various international and national regulations). The main problem in Sri Lanka is not having enough operators engaged in this interesting service. For comparison I list down figures of some countries below (main source: Wikipedia). Before interpreting the above figures, I would like to remind you the fact that Sri Lanka holds a pioneering and prestigious status in the radio technology. We had the first radio broadcasting service (now known as the Sri Lanka Broadcasting Corporation) initiated by Edward Harper, in the South Asia, and it was one of the first radio stations in the world too. Compared to many other third world or developing countries, Sri Lanka has been having a far greater literacy rate. Both as a percentage and as an absolute number, the number of Amateur Radio operators in the country is extremely low. Ever since this service started in the country, this problem has been existent. You must take into account the fact that very big countries as Russia, China, Canada, America, Australia, and small countries like Sri Lanka, Singapore all get roughly the same frequency ranges and privileges. Therefore, it is very unfortunate to see that we waste the invaluable frequencies without being utilized by the citizens of the country for their personal betterment and national interests. Taking all historical, technical, and other factors into consideration, it is required to raise the number from 400 at least to 25,000 so that it would be 0.1% as a percentage of the total population. This target would seem like a lofty unrealistic expectation to some people, but I must stress it is still very much feasible. Sri Lankan community is technology-savvy and quick to adopt newer technologies and equipment. The adoption rate of the Internet and related technologies, cellular phones, smart devices is appreciably high in the country. Then, what is impeding the advancement of Amateur Radio Service in the country? I find a few hurdles that I would list below. 1. There are no enough awareness programs to introduce Amateur Radio. In national newspapers, the country’s very few educational magazines like Vidhusara (from Upali newspapers), and even in electronic media like television and radio, you hardly see any program or article on amateur radio. For instance, I have never seen at least ONE program to promote it on television, and have read only two or three articles in printed media in my entire life of 37 years so far. Personally, I got to know about Amateur Radio whilst I was in grade 9 in school by reading an interesting article about it in Vidhusara (the first article). It’s not a responsibility on the government, in fact, to promote it. It must be taken by the whole Amateur Radio community in the country. Anyway, this lack of awareness is a huge problem that keeps it being popular in the country. Ask 10,000 people randomly about Amateur Radio, I am pretty sure 9,999 people even wouldn’t have heard of it. I have felt that SOME existing (senior) Radio Amateurs want it to be confined to a select English-speaking elite group. In other parts of the world where Amateur Radio thrives, the picture is entirely different. The senior and the junior alike work together to make it more enjoyable, useful, and accessible. 2. The very few people who get to know about this have to face further difficulties when they try to engage in this. The major problem is the language barrier. There are no books in Sinhala language to study it. There are hundreds of good books and thousands of good articles on the Internet and magazines, and tons of videos in YouTube, all in English. 3. The exams conducted are also in English medium. Therefore, even though some people somehow or other learn (from others and experience) about it, they are afraid to face the exam. For instance, the several students I spoke to are very much interested in it, but are so afraid to do the exams. Without passing these exams, you cannot engage in Amateur Radio. You can’t readily get the syllabuses for the exams. The very little information (including regulations) is not even readily available. Almost all (seniors) just give their opinions based on their past experiences, not the facts necessarily, when asked questions regarding regulations. That clearly shows how much little factual substance has been flown across the Amateur Radio community. The TRC website still shows incorrect details (for example, emission table shown on their website is totally disarrayed). I can cite another example, where the TRC website says the minimum age to be qualified as a Radio Amateur is 16, but the very recent Amateur exam (concluded a few days ago) had a different age as the answer. You cannot find an official band plan; but the very recent amateur exam talks about the necessity/importance of a band plan. The exams are not conducted regularly; for instance, the amateur exams scheduled for the last year were conducted in March of this year. The TRC gives the excuse that not that many people sit for the exam. However, not holding the exams regularly is a deprivation of the rights of the several candidates who wish to do it. The exam papers are full of grammatical, technical errors. They are so grossly carelessly prepared that very often those questions leave you with no firm answer. It seems that nobody knowledgeable in Amateur Radio proofreads the questions. In such occasions, the invigilators present in the examination hall can’t clarify the questions either, because they don’t have any idea about Amateur Radio. Everybody seems to be keeping silent on these matters as if there is nobody to account for. As solutions for those problems mentioned and not mentioned above, and to make it more accessible for the majority, I suggest the following simple steps to be taken. 1. Have the syllabuses for the 3 exams (for the 3 classes of the license) be reviewed to make it comparable with the other countries and newer standards/practices, and make them readily and publicly available on the TRC website and at the TRC headoffice. 2. Consolidate all the laws and regulation relating to Amateur Radio service, and re-gazette it correctly, eliminating all inconsistencies and errors. Even the current government gazette enforcing the regulations on Amateur Radio shows tables of frequencies and permitted emissions in each frequency band inaccurately. For example, there is some gray area with regard to frequency ranges permitted for Radio Amateurs in Sri Lanka. The ITU’s regulations and the government gazette show different ranges sometimes. Some senior radio amateurs when asked by me how to deal with it said to go ahead with the more relaxed ITU regulations (but I know it is illegal because it is not listed in the gazette). People bend the law or just ignore the law when the law is not clear and the state of affairs is in anarchy. 3. Make a new law/regulation to mandatorily conduct the amateur exams two times a year as it has been in the past. Now the TRC has the discretion to conduct it at its wish. If the TRC is overwhelmed with its other money-hungry duties (normal duties), then it can authorize the Radio Society of Sri Lanka (RSSL) to conduct exams regularly. This is how happens in the USA too (if the RSSL consents only). 4. At the moment, exams are in English medium only. Make it available in Sinhala language too. Then the candidate can select the language medium. Most other countries hold their amateur exams in their local languages. The language should not be a barrier to enter and engage in the service. You can use technical terms in English, but sentences must be in Sinhala (in the Sinhala medium paper that I propose). To engage in Amateur Radio, English is just a “better-to-have” rather than a “must-to-have”. It is not comparable to teaching in English in universities; university education is oriented towards making people fit for employment and academia. Amateur Radio is entirely different – it is mainly a hobby that can be utilized for other significant things. It is not a tertiary/higher education. 5. Create officially a new section/office in the TRC to oversee the Amateur Service, inter alia, expeditely and effectively. Even a single competent officer is good enough for now. Amateur Radio is currently practiced in Sri Lanka as a hobby only, but it can be utilized for achieving other significant objectives. I would like to briefly elaborate on some of things that Sri Lanka should consider when making policy decisions on Amateur Radio. 1. It can and should be popularized among the school children (above 14 or 16 years old). Working with radio equipments and various antennas, and the sheer knowledge they get about physics, electricity/electronics, space weather (the sun, the earth, magnetic fields, ionosphere, etc) will make them have a better grip on science and technology and engage in explorations. I think Sri Lanka needs such mindsets in the young people to propel the country forward in this fast-advancing world. Sri Lanka needs a science-oriented knowledge-based society, and it is one of the government’s objectives as well since some time now. For instance, in other countries, Amateur Radio is used to let school children converse with the astronomers and scientists in the International Space Station (ISS) which is orbiting in the space. 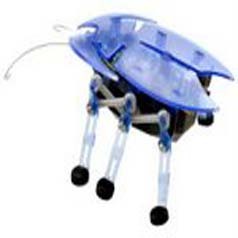 Like that, there are many novel ways to kindle the curiosity, passion, and fervor among the young people in education, science, technology, etc. 2. It should also be popularized among the educated students in universities and higher education. They too will tend to explore things in more practical and enjoyable manner. It can be carefully steered in a way to let a flow of knowledge diffuse among themselves, and between them and the school children. They can be encouraged to explore and research into radio technology and other fields rather than confining them to a mere hobby. 3. 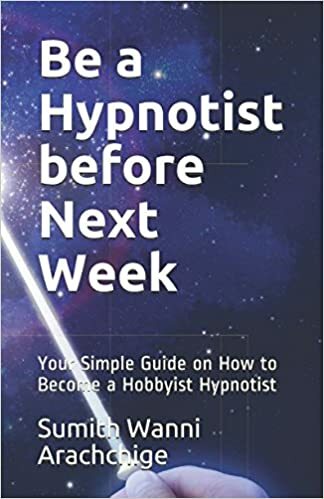 As a healthy and lovely hobby it can be enjoyed by professionals like lawyers, doctors, engineers, teachers, artists, journalists, etc. It seems that the only hobby for most people in Sri Lanka is now to keep their eyes and ears glued on to the television and facebook these days. 4. There are some other amateur services/fields in the country, like amateur astronomy. In some other countries, they discover many important things. In Sri Lanka too there are such amateur science institutions, but their activity is relatively low. Moreover, there are many active organizations who work for the betterment of nature (wild life), human rights, etc. These communities do a great job in the public interest on a voluntary basis. I suggest fusing these amateur science and public interest activities with Amateur Radio. For that, registered amateur science personnel (eg, amateur astronomer) and public interest activists must be allowed to use a few (or at least a single) radio frequency that coincides with Amateur Radio for their intercommunication (knowledge sharing). Obviously they cannot be allowed to use all the Amateur Radio bands without doing the exams. However, they may not be that much interested to study all HAM stuff to get a license too. As a compromising solution I suggest to create another class in Amateur Radio service (let’s call it “Open Class”) with limited privileges just below the now lowest class Novice, and put these important personnel in that class (maybe subjecting them to a very easy short MCQ paper). 5. Get the Amateur Radio service into the country’s emergency response framework. In many countries like the USA, Canada, they have been successfully implementing it. Anyway, their (Radio Amateurs’) support is voluntary and full of passion and patriotism. They can relay important communication among related state and other authorities. Amateur Radio service is excellent in places and situations where communication infrastructure is badly affected (electricity down, communication towers not functional, etc). Regularly (annually), training and drilling exercises can be done (as in other countries) with the participation of relevant parties. This voluntary passionate participation is of extremely high significance because they will be spread and inter-mingled with the rest throughout the country with this valuable know-how and can lead the people in their local areas till official emergency teams arrive in emergencies. 6. Include in the syllabuses of Amateur Radio exams (at least in the Advance class license) scientific knowledge on non-ionizing radiation (caused by radio waves), and make new explicit regulations on such radiation hazards based on ICNIRP ( International Commission on Non-Ionizing Radiation Protection) and FCC standards, and regulations on protection from lightning hazards. 7. Explicitly allow digital Amateur Radio communications (digital modes) that are currently existent and will be available in the future on the condition that it is permitted if the encoding used is public. This is the standard international practice. 8. Make an official bandplan. There is a well-prepared bandplan introduced by the IARU (International Amateur Radio Union) for the IARU/ITU Region 3 which includes Sri Lanka, and we can simply make some adjustments to it and adopt it. 9. Remove the unnecessary restriction that now requires Radio Amateurs to get prior approval by the Director General of the TRC to use Amateur Radio equipment in mobile or portable manner. The Radio Amateur is already required by laws and regulations to transmit in permitted frequency bands, and this restriction is redundant and unfit for the modern developed society. If you carefully read my proposals above, it clearly shows implementing them will not cause any additional burden/expenditure on the government. It is just a matter of making some decisions and adopting a consistent policy, and issuing a gazette notification with regulations. Obviously and inevitably for Amateur Radio be a resourceful and enjoyable activity, the number of Radio Amateurs must increase tremendously. With just a few hundred, you cannot do a productive work in the long term. I am zillion percent sure the number can be increased if the language barrier is removed by the government. We (including me) can work together to popularize it then. My personal view is that it can be brought up as a tool for research and explorations, and as a tool to kindle the passion for science among the young people in the country, rather than as a hobby alone. I am happy to mention that personally I have already taken some pains to do that. I have written more than 1000 pages in Sinhala medium on Amateur Radio & telecommunications (and more than 1000 pages again in Sinhala about electronics too) and have published it freely over the Internet so anyone can read it (just during the last 2 years). I intend to write about it in the local papers and magazines (if I am given the opportunity by the papers). In case you lack enough manpower to do some of the work that I propose here, I am willing to offer my time and service in such tasks as translation of the questions in the Amateur exams from English to Sinhala medium, proofreading the questions, designing the bandplan, etc. I hope you will give your due consideration and take prompt action for the advancement of Amateur Radio service, and incidentally betterment of the country. Thank you. පරිගණකයේ යතුරු පුවරුවේ නැති ascii සංකේත යතුරු කරණය සඳහා Alt යතුරක් සමඟ ascii සංකේතයට අදාල අංකය යතුරු පුවරුවේ number pad කොටසේ යතුරු වලින් ටයිප් කල යුතුය. Alt යතුරක් ඔබාගෙන 156 ටයිප් කල යුතුය. මට අවශ්‍ය වන්නේ මෙම කටයුත්ත මෘදුකාංගයක් හරහා කරවා ගැනීමටයි. ඒ සඳහා වින්ඩෝස් මෙහෙයුමු පද්ධතියේ ඇති keybd_event ශ්‍රිතය යොදා ගැනීමට අදහස් කලෙමි. පහත වියුනු පිටුවේ මෙම ශ්‍රිතය ගැන විස්තර ඇත. නමුත් මට අවශය කටයුත්ත මෙයින් කරගත නොහැකිවිය. keybd_event ශ්‍රිතයේ සම්පූර්ණ ක්‍රියා කාරීත්වය ගැන විස්තරයක් මෙය දකින පරිගණක ඔස්තාද් කෙනෙකුගෙන් බලිපොරොත්තු වෙමි.